The line between buyers and sellers is becoming more visible with every passing day. That means it’s time for MLB Trade Watch to take a look at the pieces that could move between clubs with the All-Star Break in sight. In this case, we zero in on sluggers available for the stretch run and beyond. Look around the game and you’ll find big-market teams everywhere in the hunt for offense. Both New York clubs, both LA clubs, one slumping group in Chicago, and San Francisco could all use some thump to amuse fans and/or slide their way up in the standings. There are available bats to help them do it. Here are five sluggers who can provide instant offense for any club. 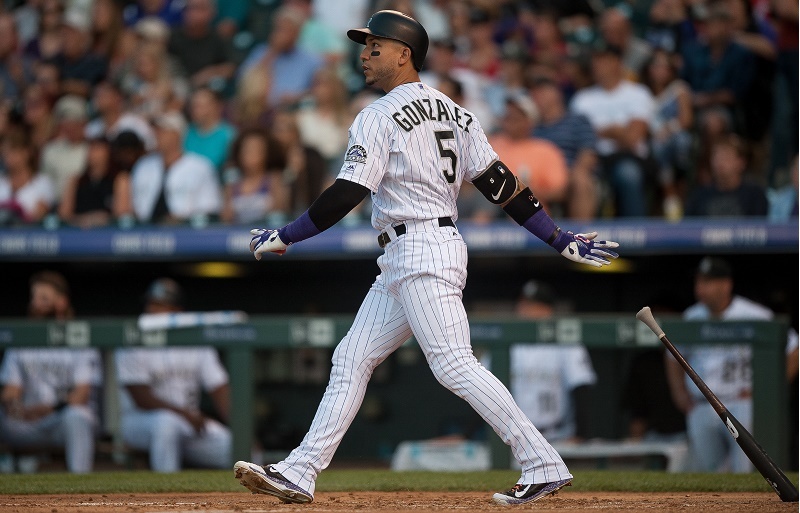 CarGo is the highest-paid Rockie ($17 million) by a mile, so struggling offenses have every reason to inquire about adding his pop (15 HR, 12 2B, .559 SLG) to the lineup. His road numbers (5 HR, 3 2B, .448 SLG) are naturally a far cry from his Coors Field production (10 HR, 9 2B, .672 SLG), but he’ll be a capable bat in any lineup. Since Carlos Gonzalez is owed $20 million in 2017, there is the heavy financial burden to consider, but it’s nothing the Yankees or Dodgers couldn’t handle. Both have holes in their outfields and could use such a short-term (1.5-year) boost. We can’t see why Colorado wouldn’t bite on any solid deal. 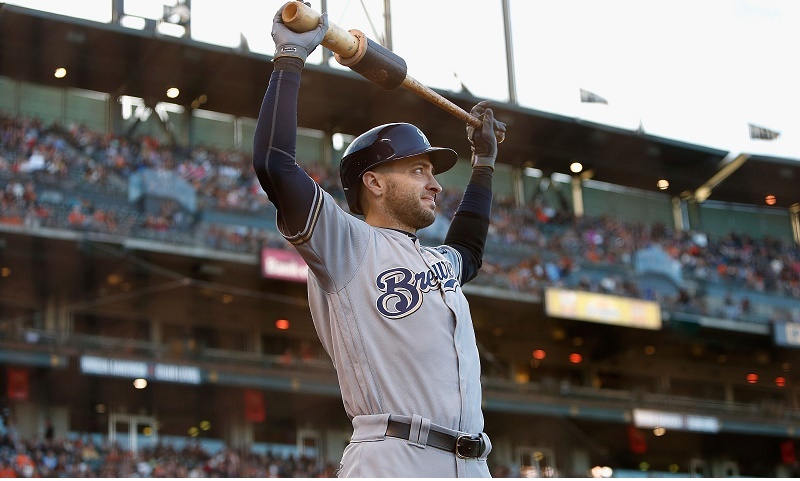 The Ryan Braun situation could not be better for a rebuilding Milwaukee club. Brewers management has their highest-paid player posting huge numbers (.306. 11 HR, 11 2B, .885 OPS) at the start of a five-year, $105 million deal. “Sell high” would be the most obvious phrase that comes to mind, and it would be an opportunity for the club to distance itself from Braun’s unsavory past as well. One thing standing in the way is the no-trade clause Braun has in his deal. He’ll only go to somewhere warm and sunny in Southern California, South Florida, or Arizona, and the only team close to contention among them is the Dodgers. Rumors of a fit in San Francisco, relayed by the MLB Trade Rumors clearinghouse, had apparently more of a “conversational” bent. Cincinnati presents yet another case of a rebuilding club carrying a slugger who’s caught fire in the final years of his contract. 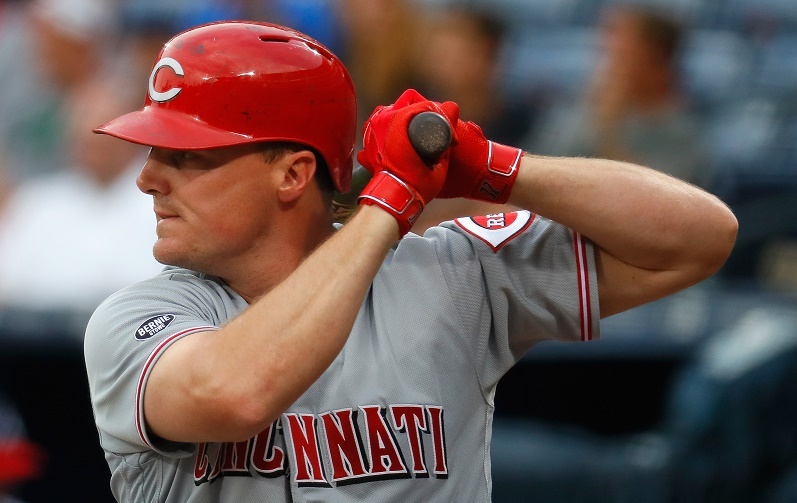 Jay Bruce has his batting average (.273), home runs (15), and OPS (.911) working above career levels, so this would be the obvious time to move him. Reds management may be reluctant to part with a popular player, but there will be plenty of offense left over when he’s gone. Bruce is owed $12.5 million in 2017 and has a $13 million team option for 2018. 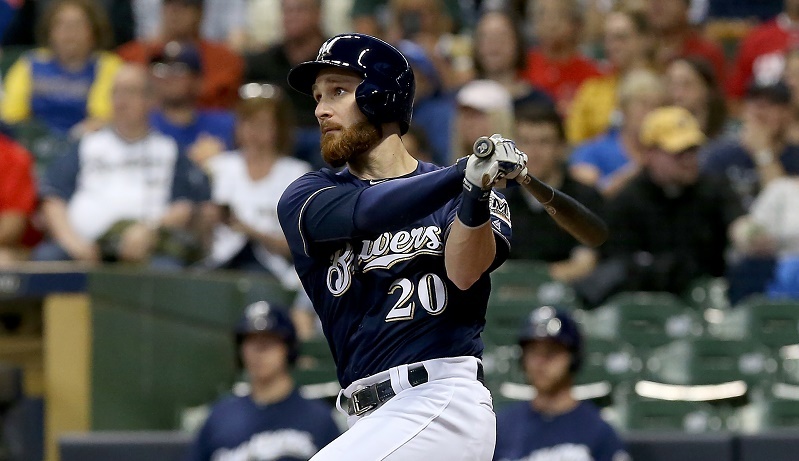 Brewers owner Mark Attanasio was clear about the prospects of trading Braun or catcher Jonathan Lucroy (.310, 10 HR, .889 OPS) in the near future: It’s not happening, he told the Journal Sentinel. Then again, he emphasized how early it was in the trade season before stating the added value of a player like Lucroy guiding a young pitching staff through developing years. So was he building up the price of his in-demand catcher or suggesting that teams will have to come up with something better to land him? Maybe both. Attanasio even took a moment to pot-shot “third parties” discussing trade talks and rumors. (He was referring to the unmentionable members of the media.) In any event, Lucroy is owed just a bit over $10 million through 2017 if clubs pick up the team option at the end of the season. Even when Carlos Beltran is playing well, Joe Girardi still has trouble putting together a Yankees lineup that scores enough runs to win. The situation came to a head in Colorado with Beltran nursing a minor knee injury and A-Rod on the bench because of the no-DH rule in an NL park. As a result, New York had Chase Headley hitting cleanup, and the results were as bad as you would expect. 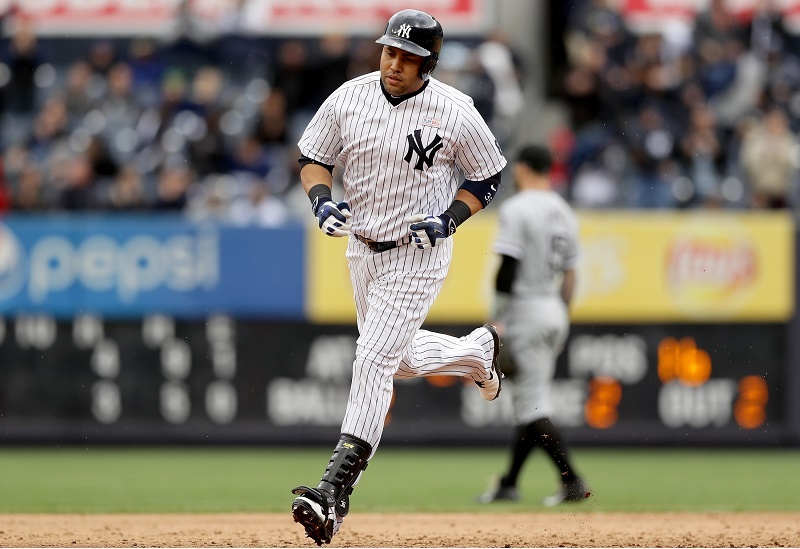 With one elder statesman already in the DH role, the Yankees need younger legs in right field to avoid power drains of this magnitude. In fact, it would be worthwhile for New York to entertain the idea of acquiring a slugging outfielder on this list to replace Beltran. Any contender who needs a DH or has a short right field would get major production from his bat for the rest of 2016.